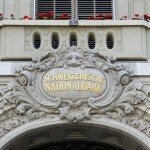 The Swiss National Bank, which has the lowest interest rate among the world’s major central banks, may be done cutting. 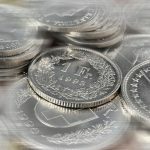 SNB President Thomas Jordan and his fellow policy makers will keep the deposit rate unchanged at minus 0.75 percent until at least the end of the first quarter of 2019, according to the median forecast in Bloomberg’s monthly survey of economists. That would mean ignoring the International Monetary Fund’s advice to fend off inflows with a “moderate” reduction. The SNB’s policy consists of both negative rates and currency interventions. Lower interest rates could, in principle, lead banks to pass them on to retail clients, who so far have been exempt from paying to squirrel money away. 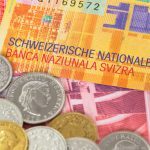 PostFinance last week became the first systemically important Swiss bank to charge wealthy individuals for deposits. 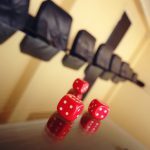 A lower deposit rate would also run the risk of making cash hoarding more attractive. The central bank currently reinforces its low-rate policy with an ongoing pledge to sell the franc to prevent it from strengthening too much. It last admitted to intervening in markets in June, just after the U.K.’s vote to leave the EU. The Swiss currency briefly broke through 1.07 versus the euro this week, touching its highest level since the Brexit referendum. SNB President Jordan held his annual meeting with the Swiss government on Wednesday. It touched on the challenges faced by the country in light of the “significantly overvalued” currency and global economic risks, the Bern-based government said in a statement. They survey of 20 economists was conducted between Nov. 4 and Nov. 15. The institutions forecasting a cut to interest rates are ING, which sees a reduction this quarter, and Bank J. Safra Sarasin, which expects one in early 2017. BAK Basel predicts an increase in early 2019, while Vontobel sees rates rising twice in 2018.